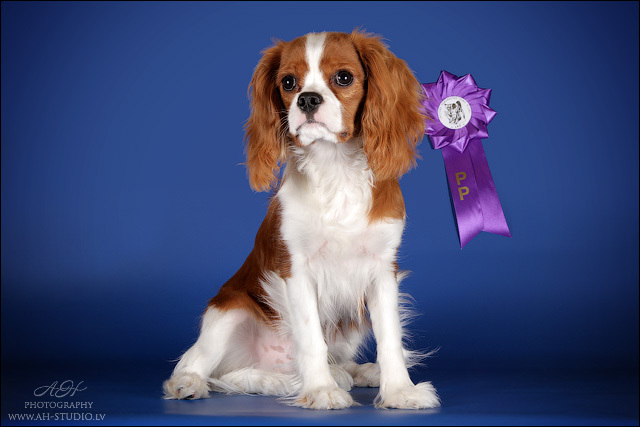 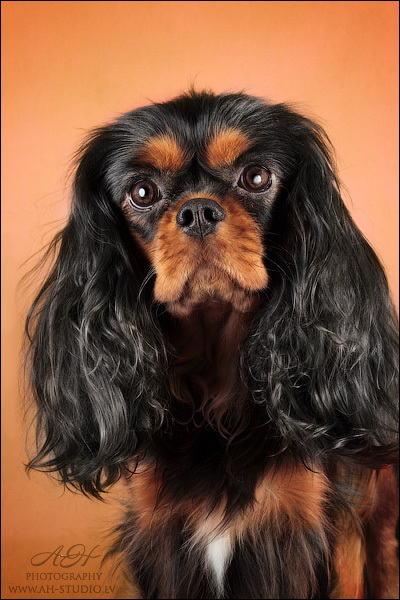 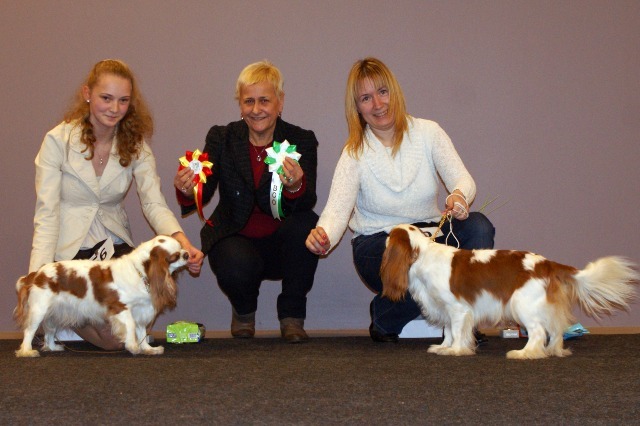 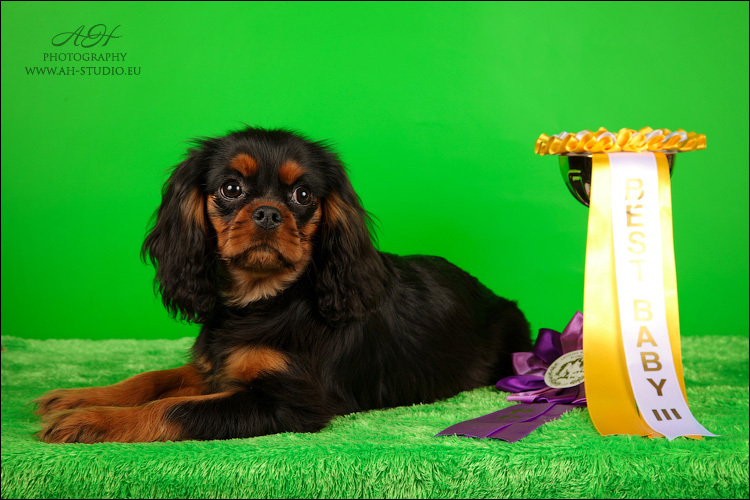 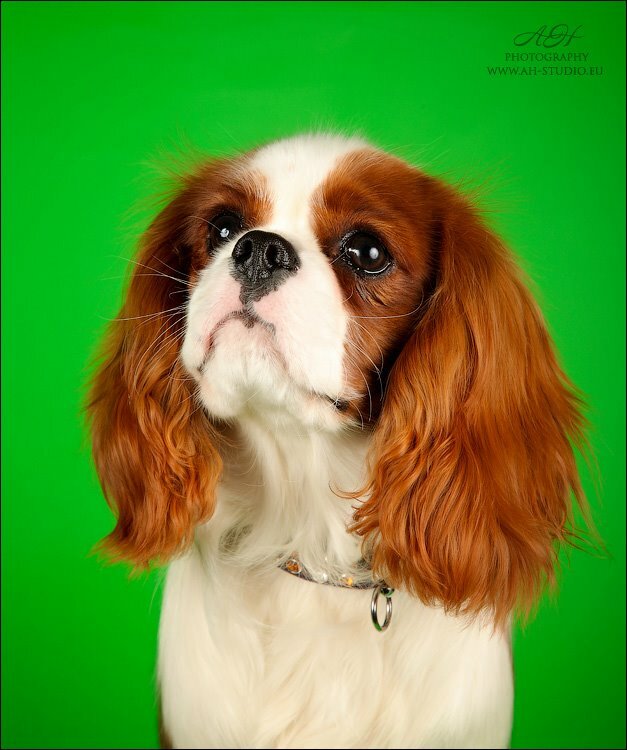 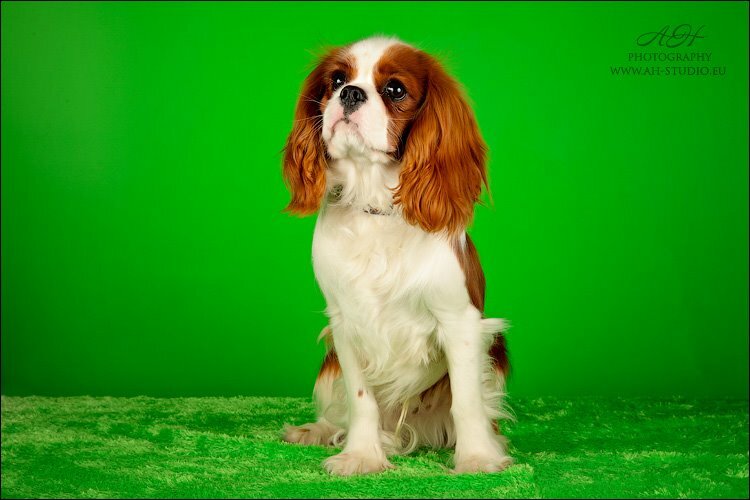 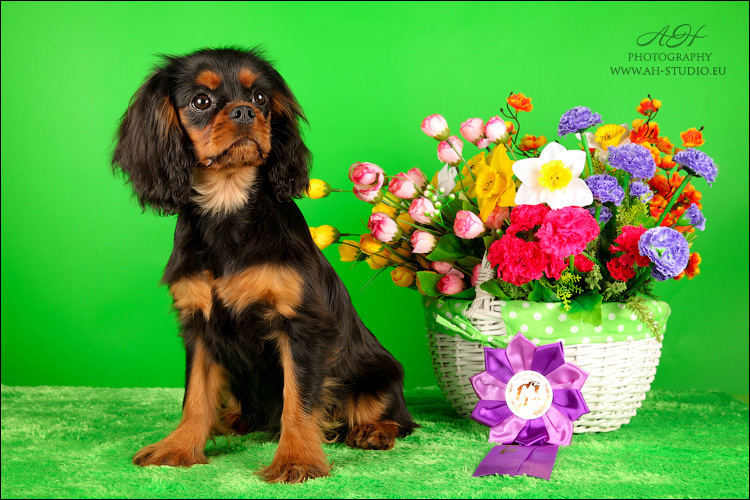 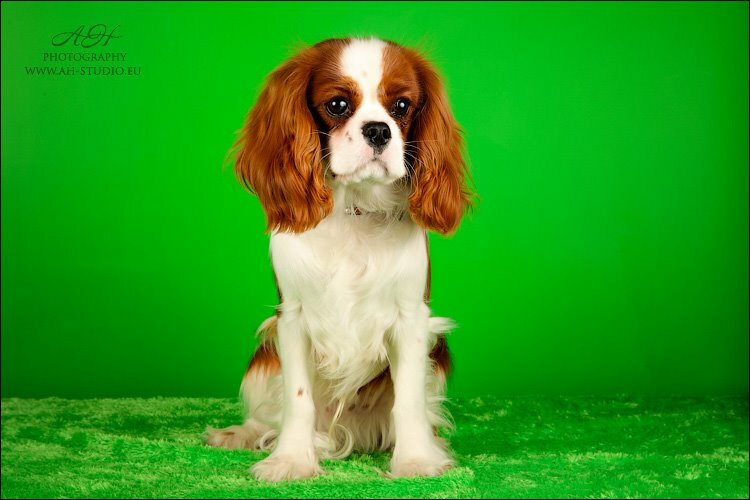 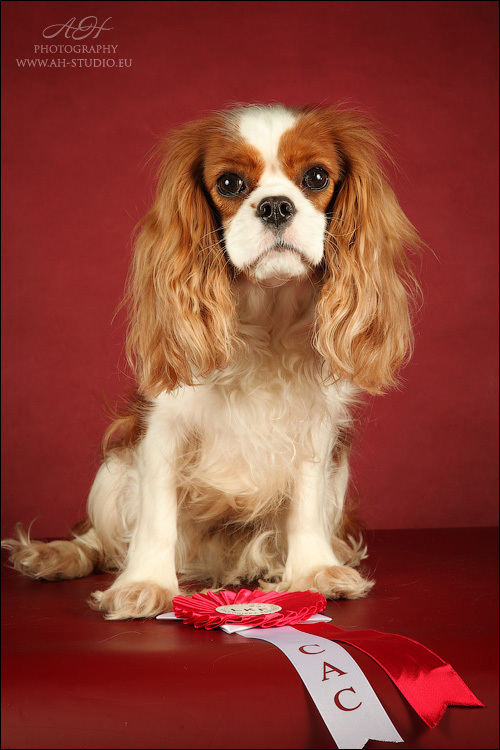 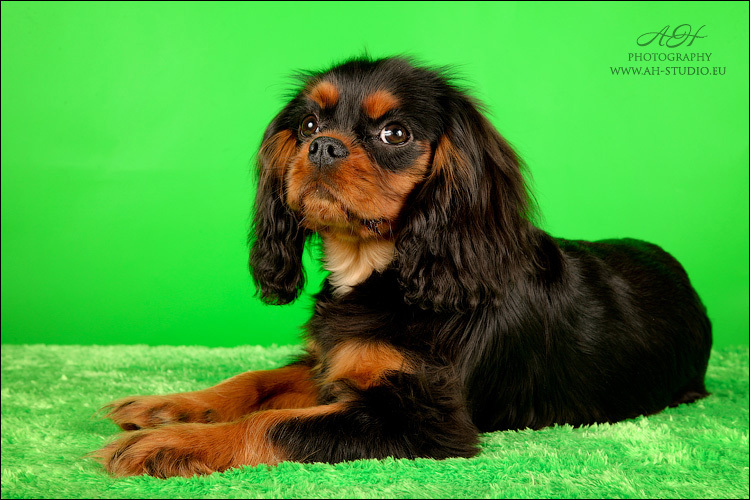 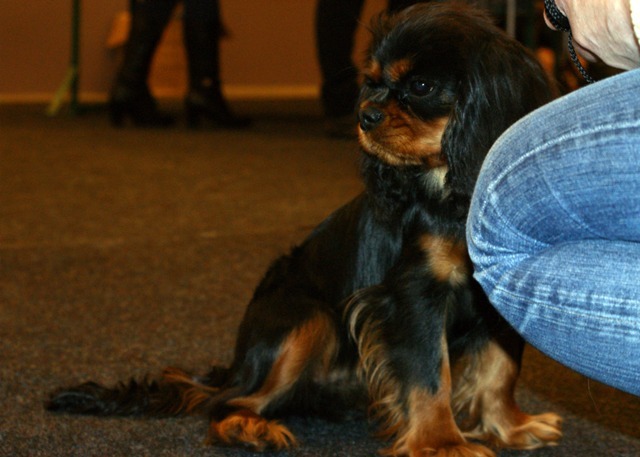 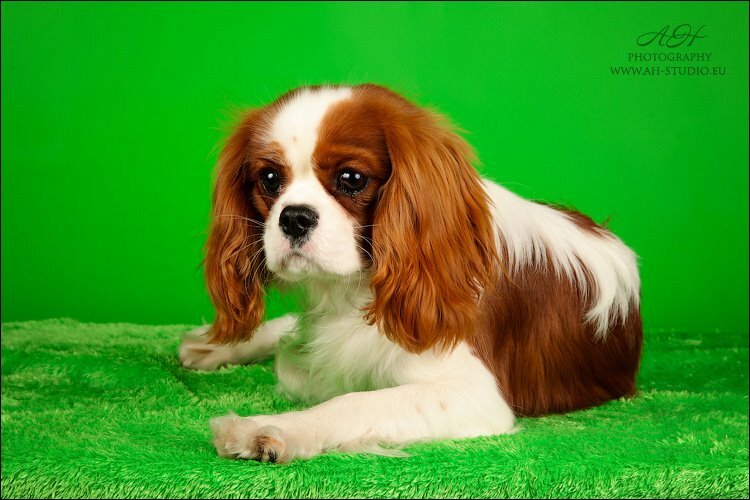 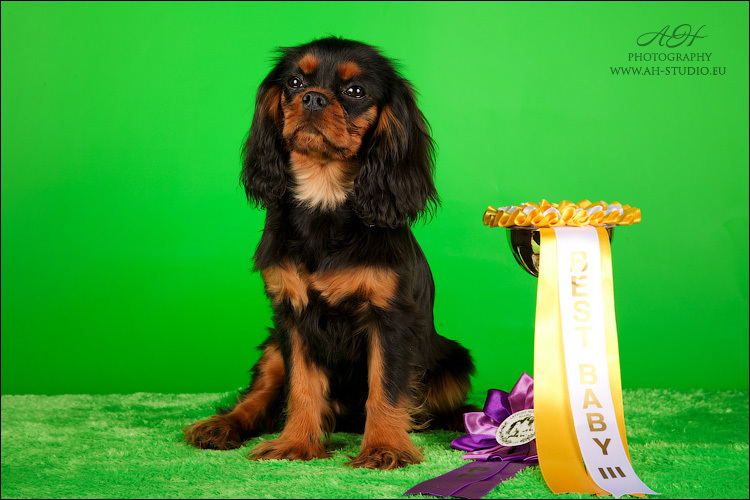 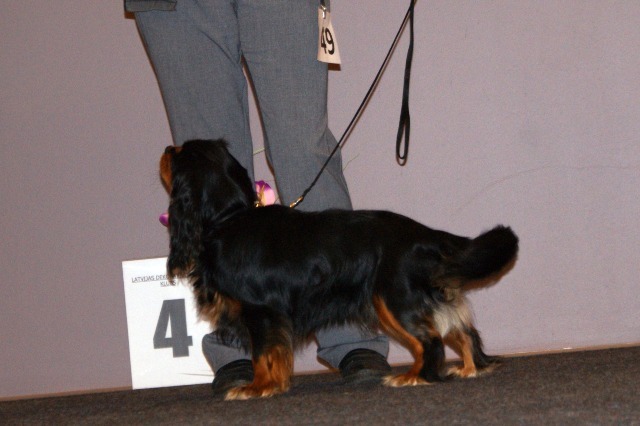 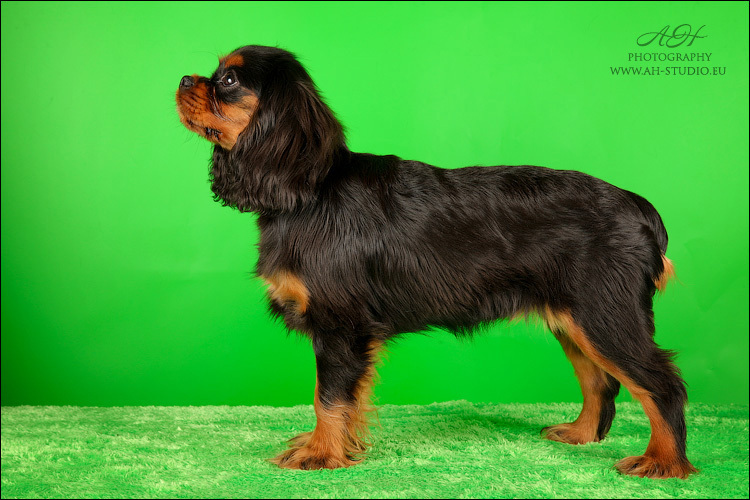 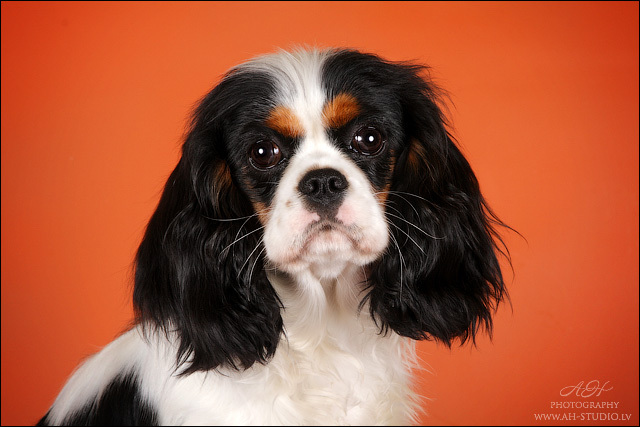 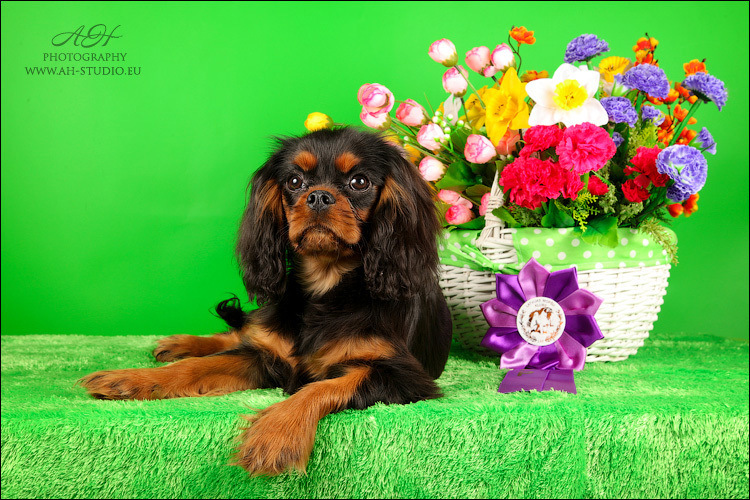 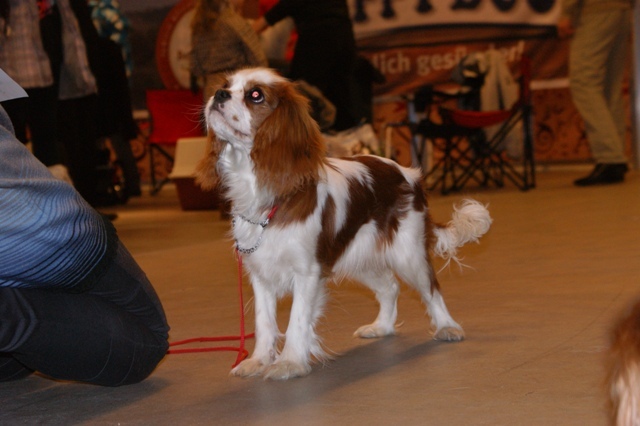 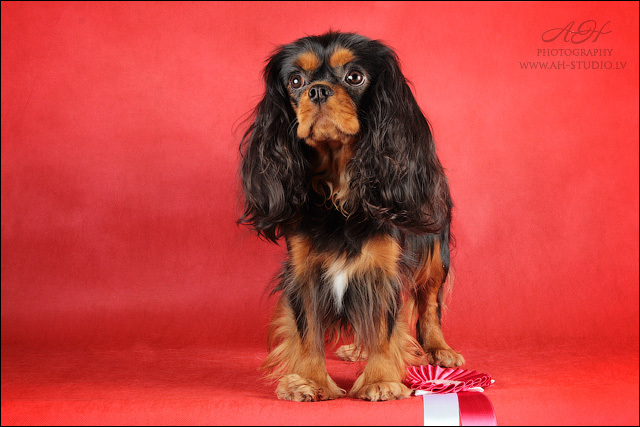 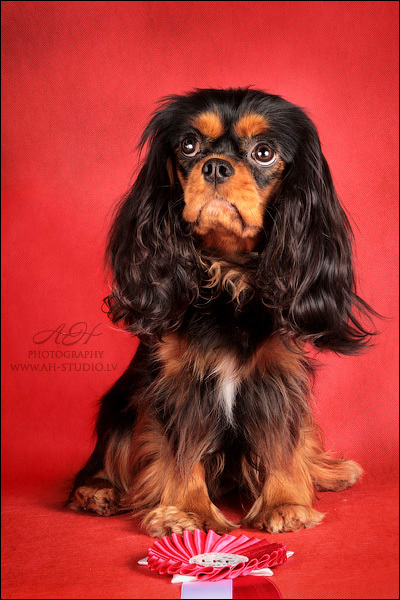 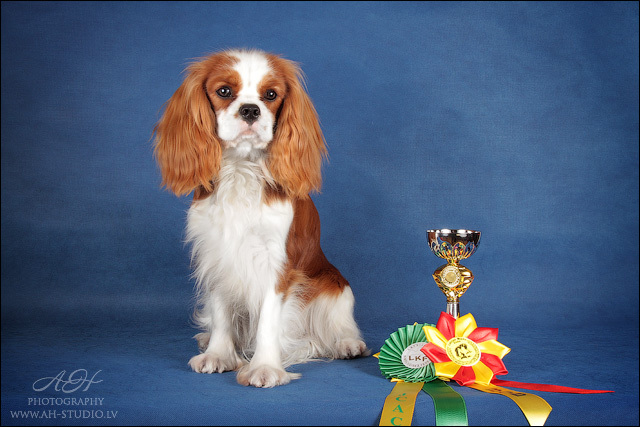 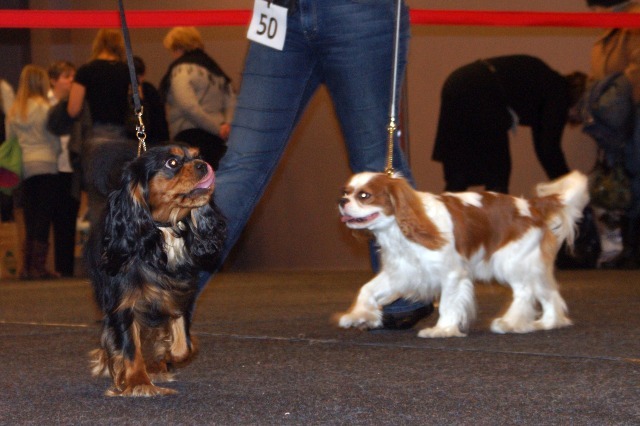 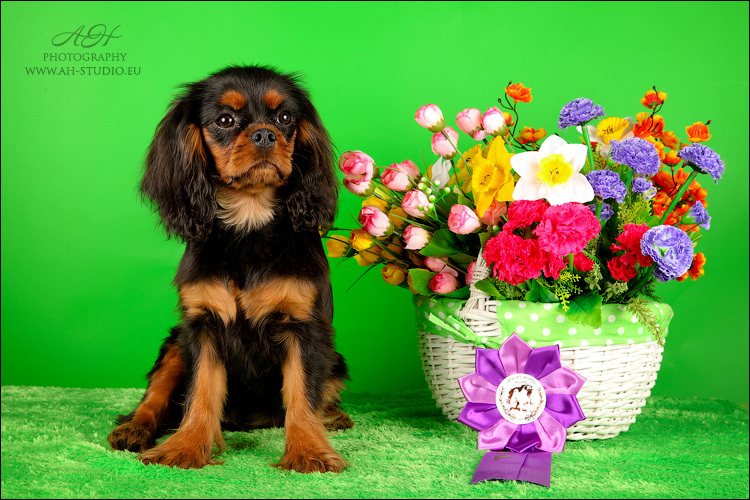 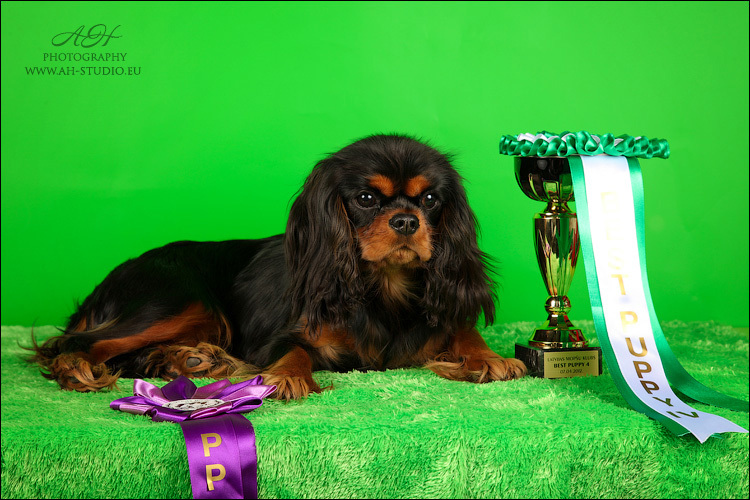 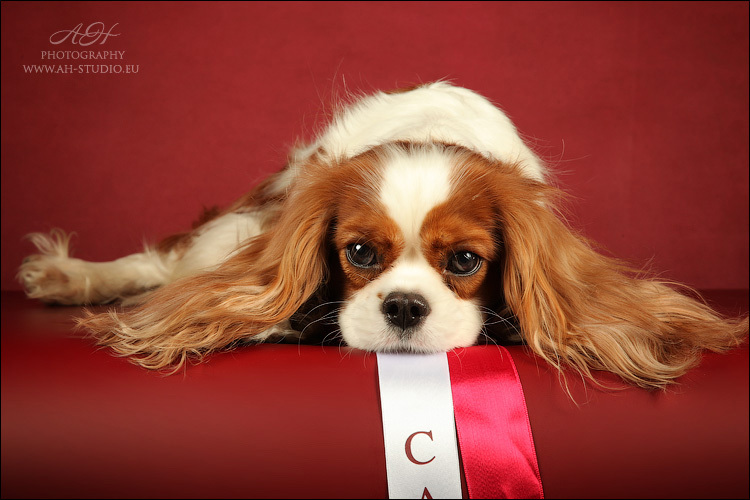 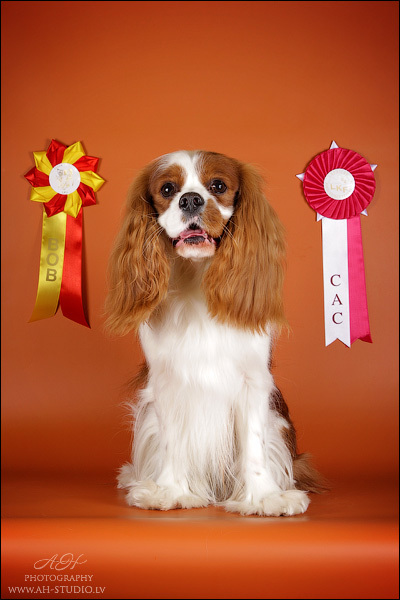 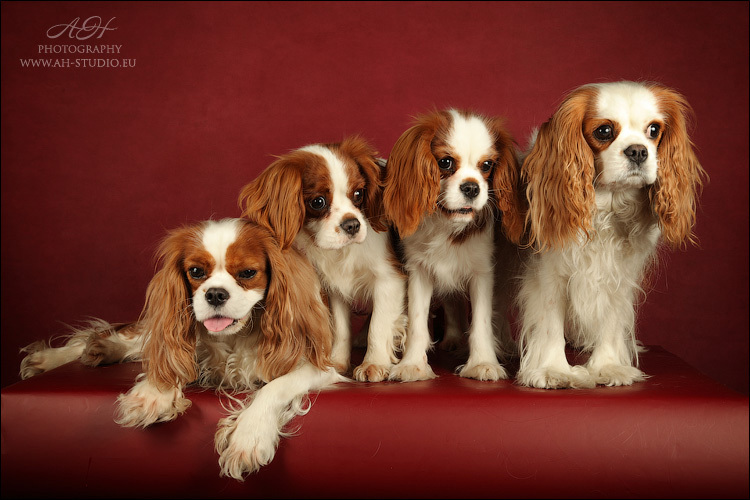 When cavaliers pose in AH-Studio.eu they get beautiful pictures. 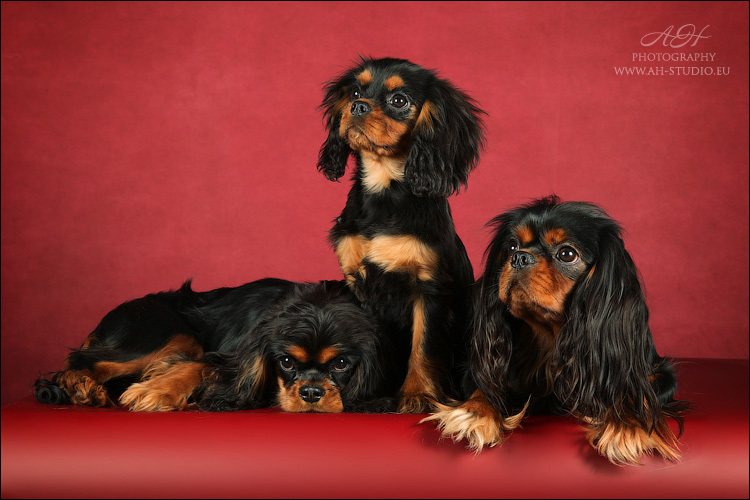 Photographer Anna love dogs and enjoyed the making pictures with dogs! 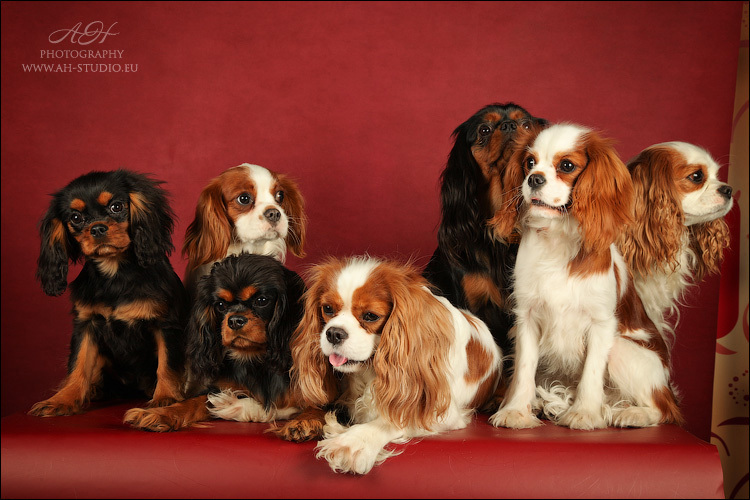 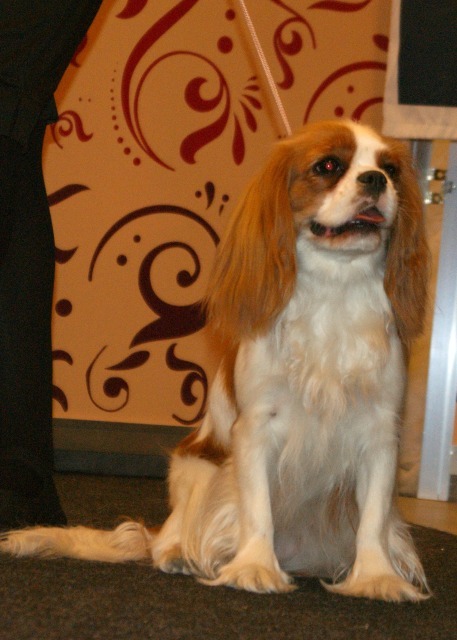 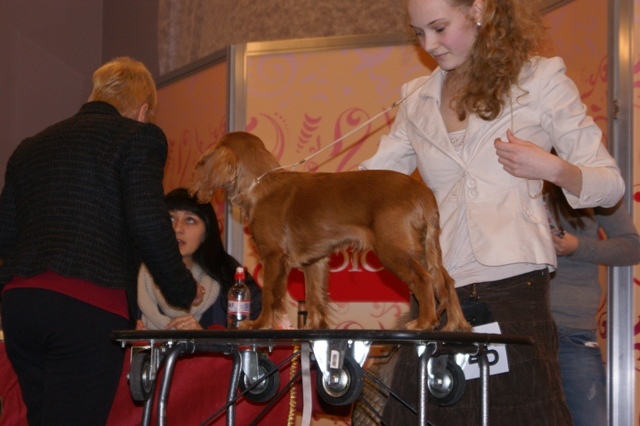 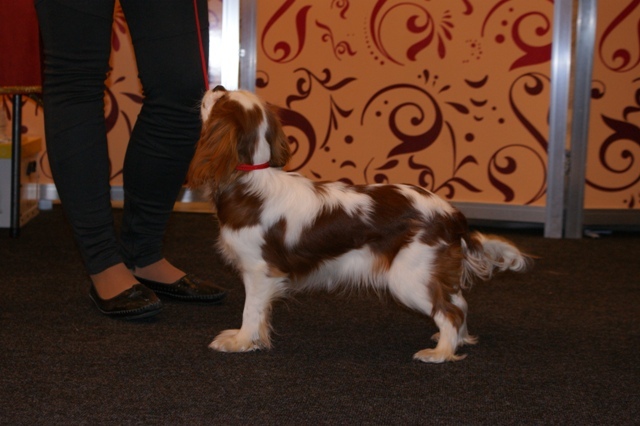 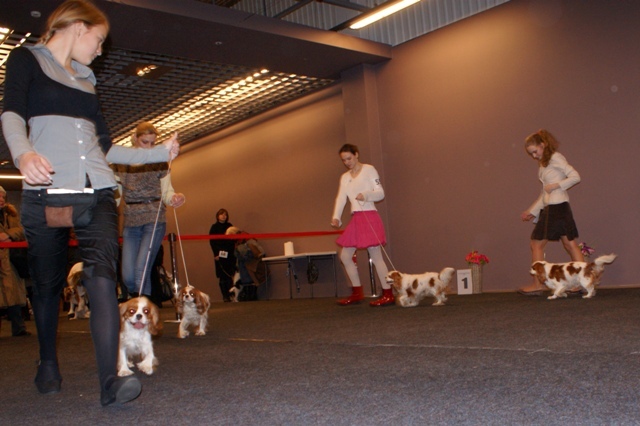 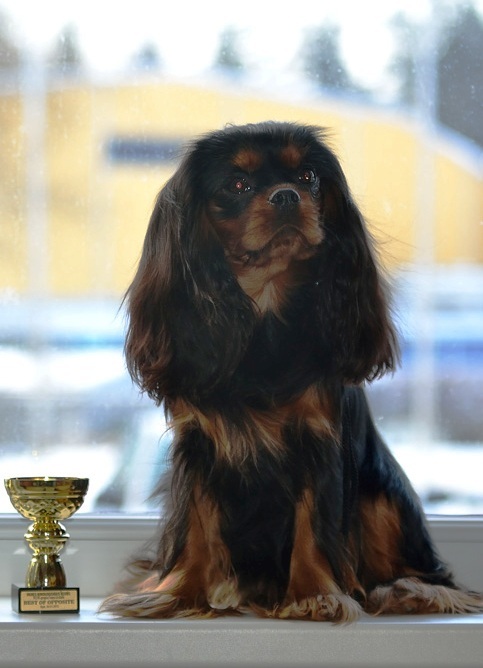 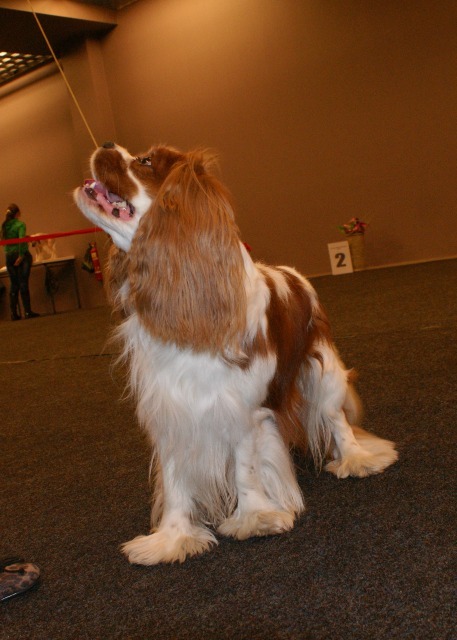 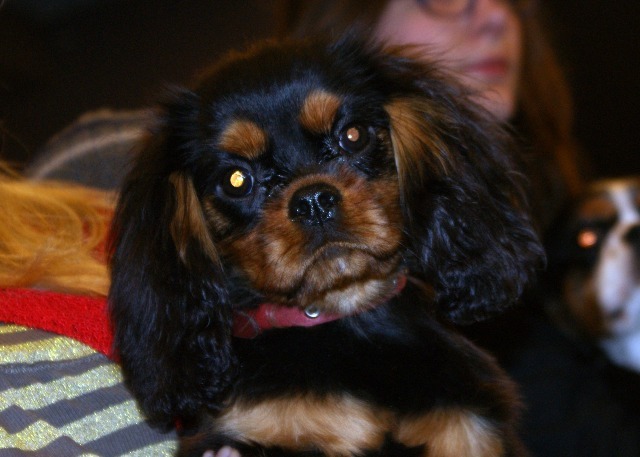 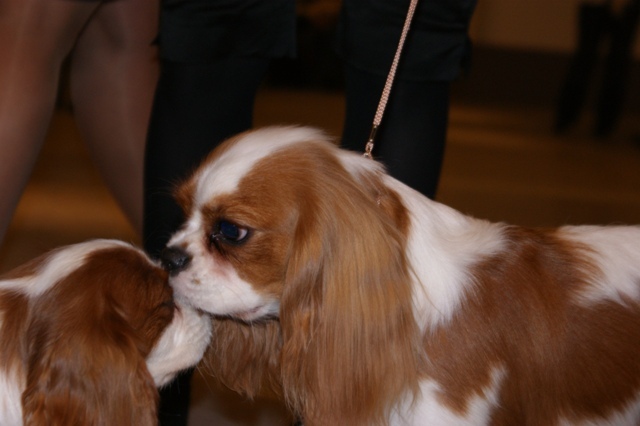 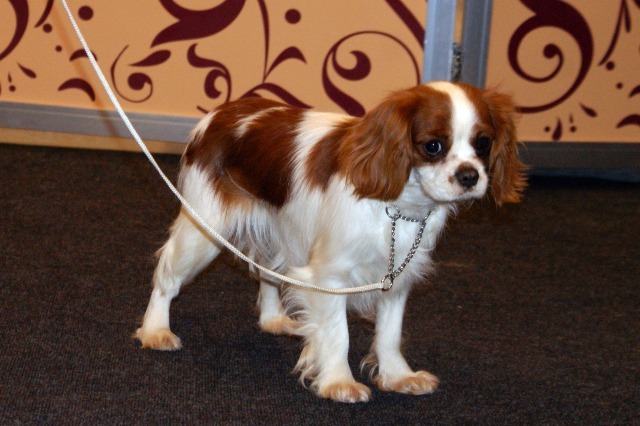 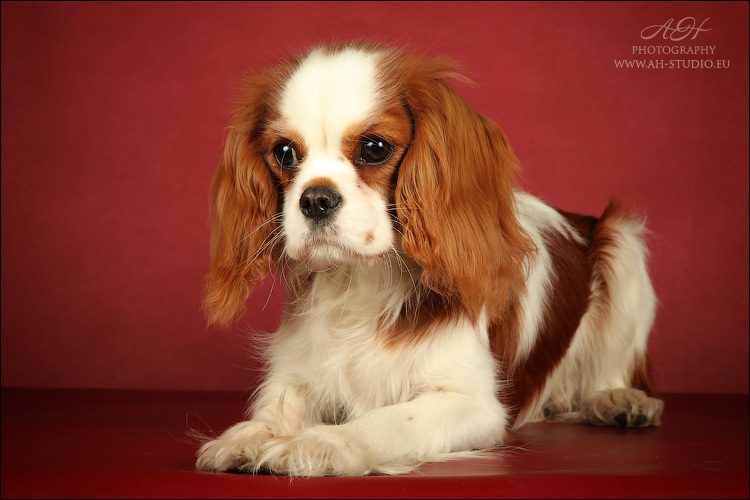 Friends from Finland, please contact me to e-mail info@cavalier.lv and I will send you all pictures in bigger size! 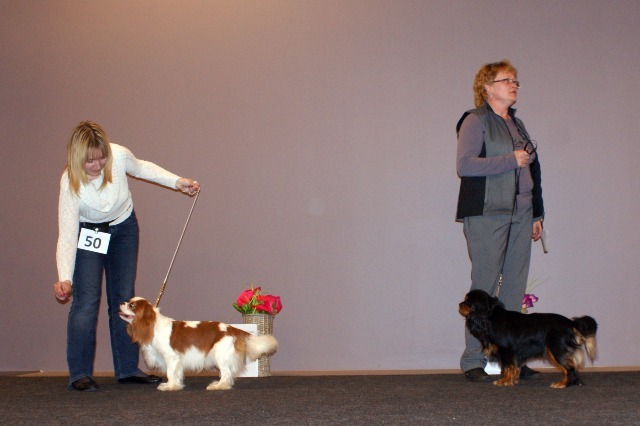 What is Episodic Falling SYNDROME (EFS)? 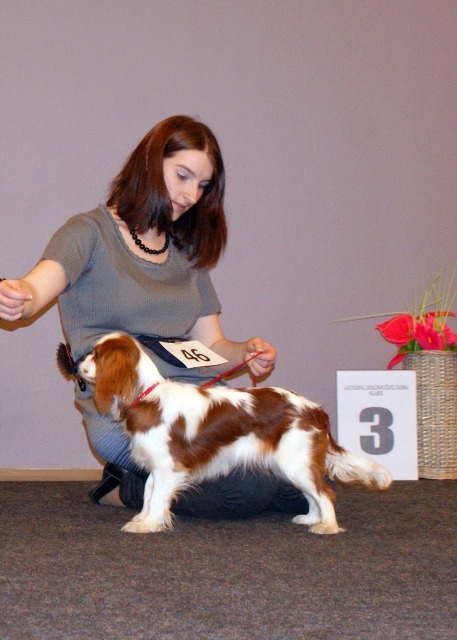 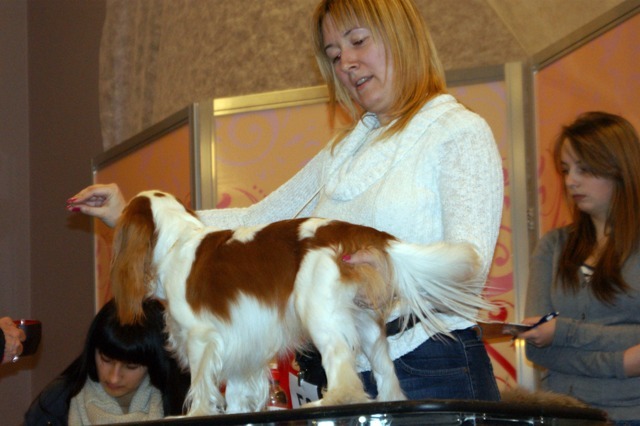 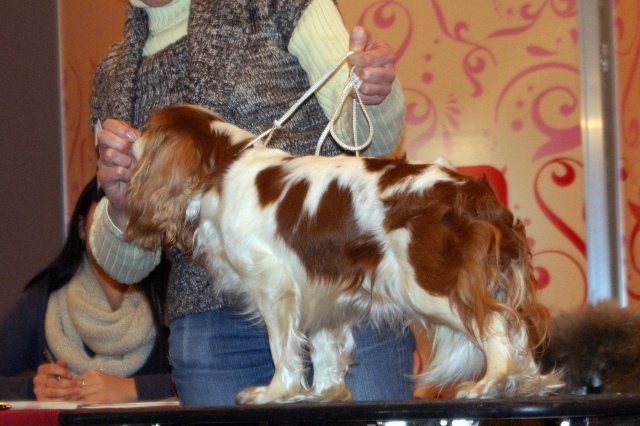 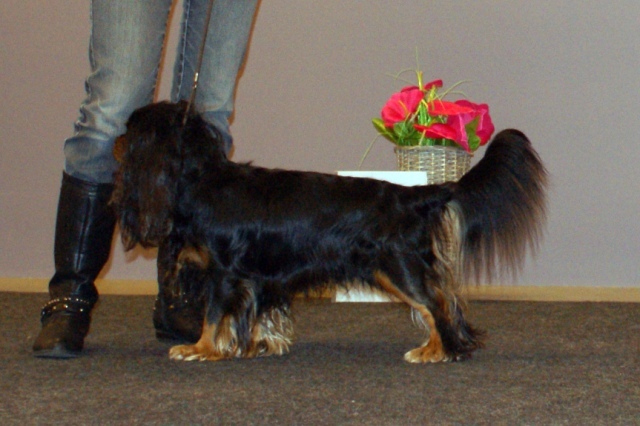 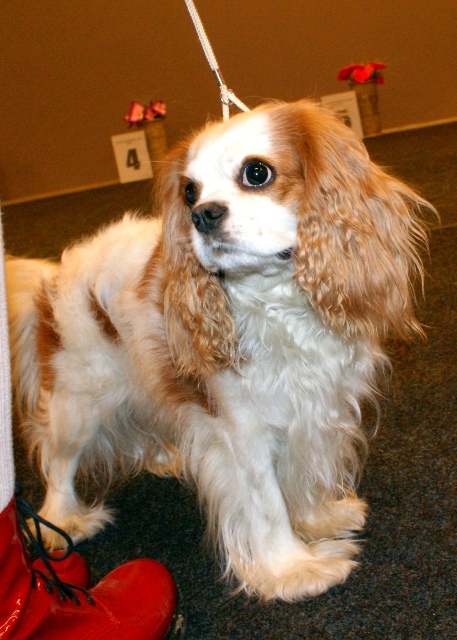 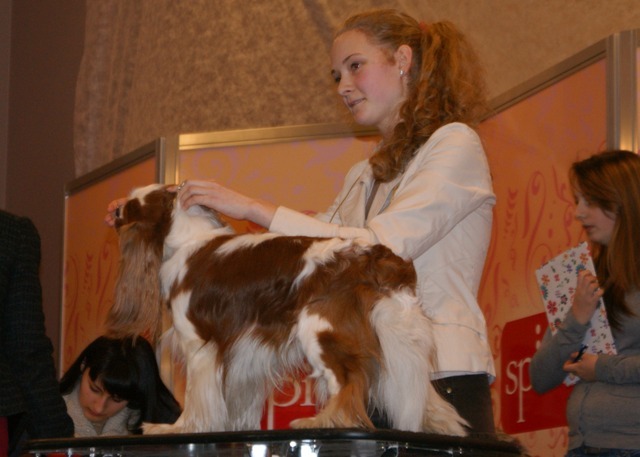 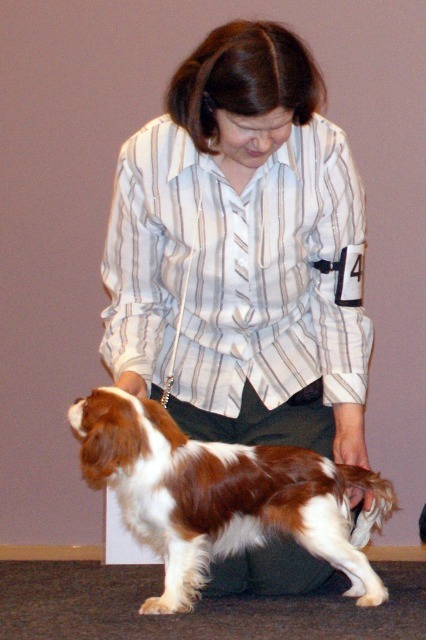 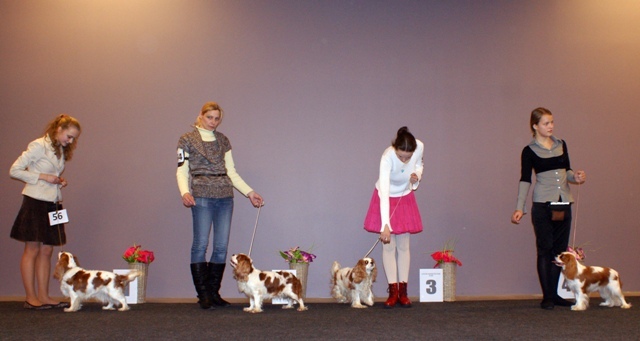 Episodic Falling Syndrome, sometimes called Falling Cavaliers, Collapsing Cavalier Syndrome or paroxysmal hypertonicity disorder, is a syndrome of muscle stiffness and collapse, the underlying cause of which is still unknown, even though it has been in evidence in this breed for over forty years. 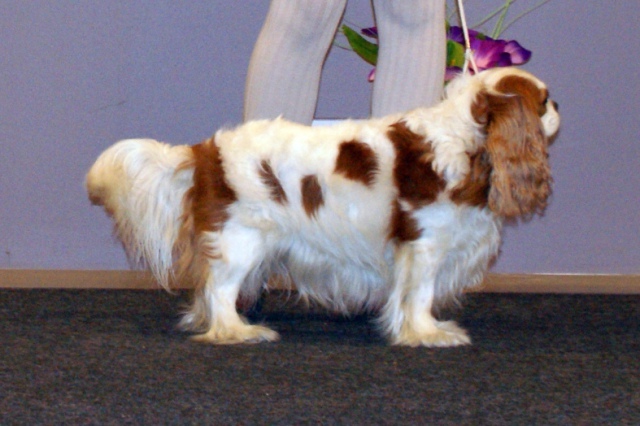 It is frequently misdiagnosed as epileptic seizures. 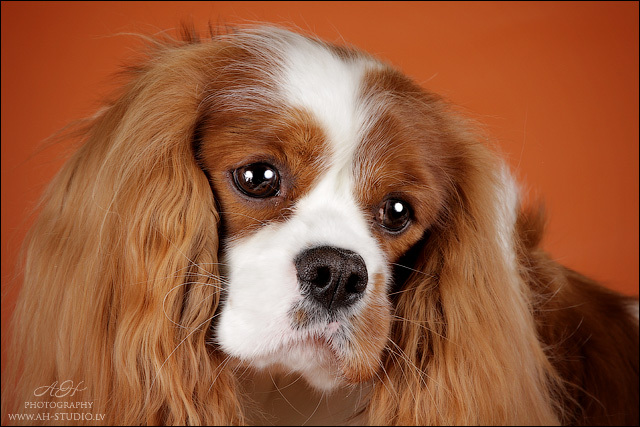 In mild cases, it may be written off as a cramp, spasm, odd event or quirk. 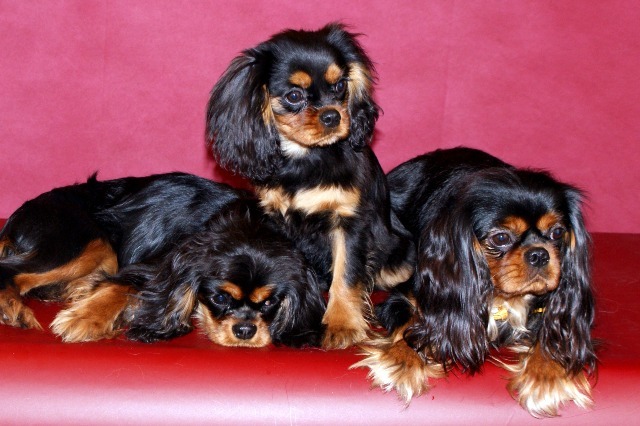 Your veterinarian or breeder may be unaware that the disease exists because it is just being recognized in some parts of the world. 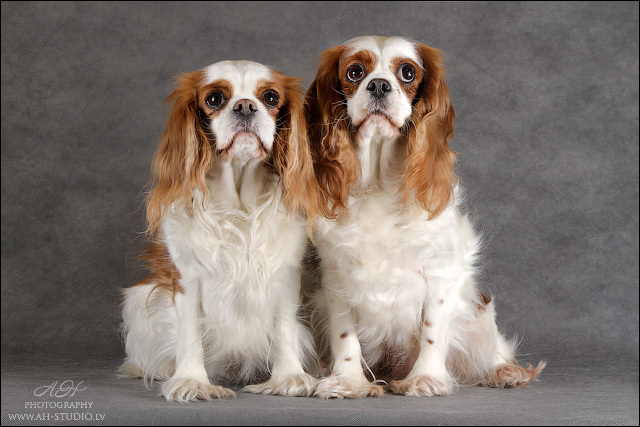 Sunny and Hetty posing to photographer Jolanta Beinarovica.